As newbie restaurateurs queue up to feed Delhi’s belly, Diva Kitsch starring Pan Asian fare by Delhi Diva Ritu Dalmia opened its doors to Dilliwallas. For someone who is more than possessive about her babies (she refers to her restaurants as that), and is very well travelled success is the only invincible outcome. 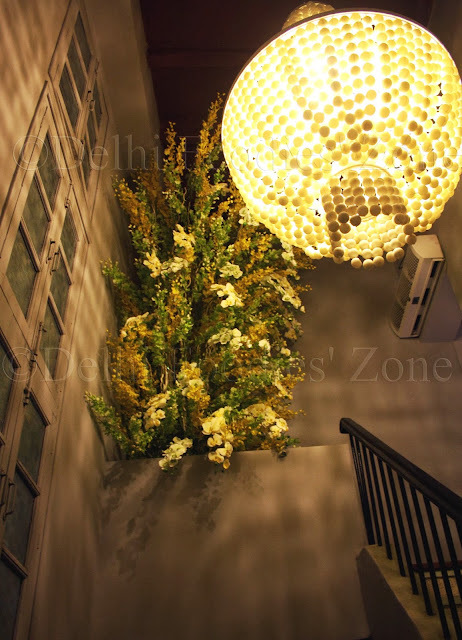 Diva Kitsch, the current Delhi hotspot is artsy, is chic, has better service, dishes out impeccable food and offers non-intimidating yet elegant presentation on your plate clubbed with ambience that soothes. It also reiterates Delhi’s (and more importantly Dalmia’s) potential of serving some of the finest non-5 star fare in town. At Kitsch, if you can, make a reservation and ask for a table by the window, before you go. 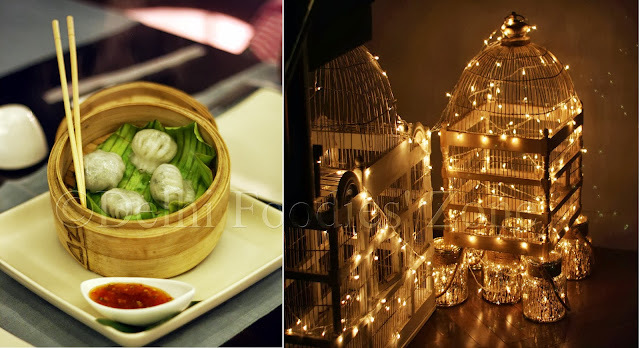 Go for lunch, if you like things bright with a dash of sunshine, and go for dinner if you are a Delhi lover, and love to watch Delhi’s heart beat at night. The view is spectacular. The night Skeeter visited it was raining cats and dogs and was the best possible time to visit. Pray for rain before you go and it’d be even better. Promise! But go you must. Skeeter arrived at what looks like just a house converted into a restaurant on the main road of Defence Colony. There is of course Kitsch on the ground floor. Move further and you are enticed by the astoundingly massive floral decor and a huge chandelier; climb a few stairs, and you have already started soaking in Diva Kitsch environs. 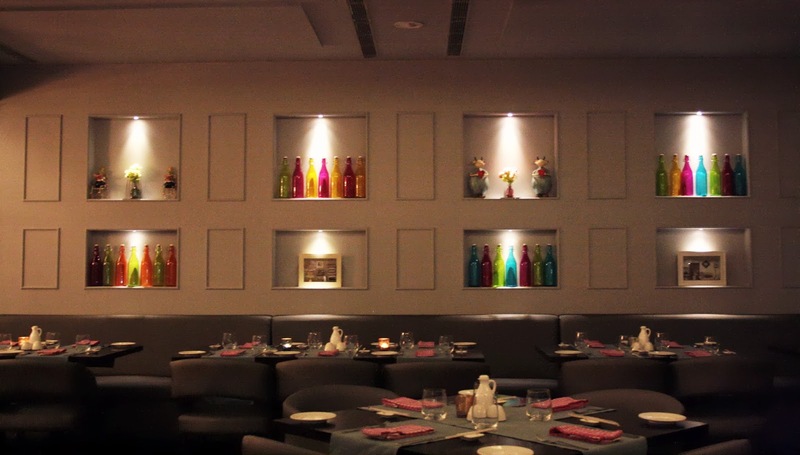 The courses are divided into Small Plates, Big Plates and Desserts just like Cafe Diva at GK 1. The menu is detailed, and has a wide range of choices. Even for a vegetarian who has comparatively less variety to pick from, Skeeter is not complaining. One gets to pick their favourite local veggies and Diva Kitsch transforms them into a dish from another region of the world for you. You may recognise the vegetable but your tastebuds will definitely be in for a surprise.The liquor license will be in place soon. The beverage menu is pleasing with an array of teas and coffees on offer. The Vietnamese rolls reminded Skeeter of Kylie Kwong. For no apparent reason really, but the texture, the freshness of the ingredients, the cuts, the whole experience. They were served with nahm jim (a popular sweet chilli sauce from region). Highly recommended. In fact, Skeeter was about to order another round when she stopped short and ordered Crystal dumplings. 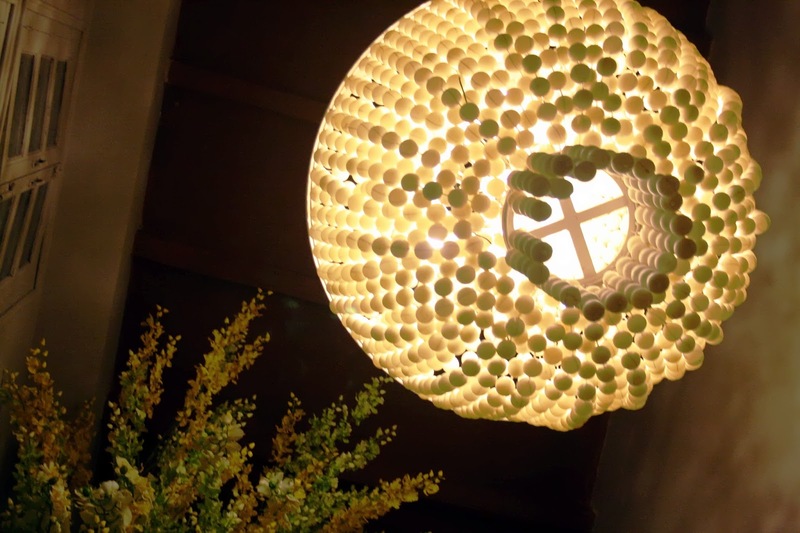 Four crystal-like pearls came seated atop a banana leaf inside a bamboo steamer along with Nahm Jim again. The dumplings reminded Skeeter of Kwong again as she has grown up watching the woman steam the most delectable dumplings in those. This one comes with an in-house endorsement (as ‘recommended’ on the menu). 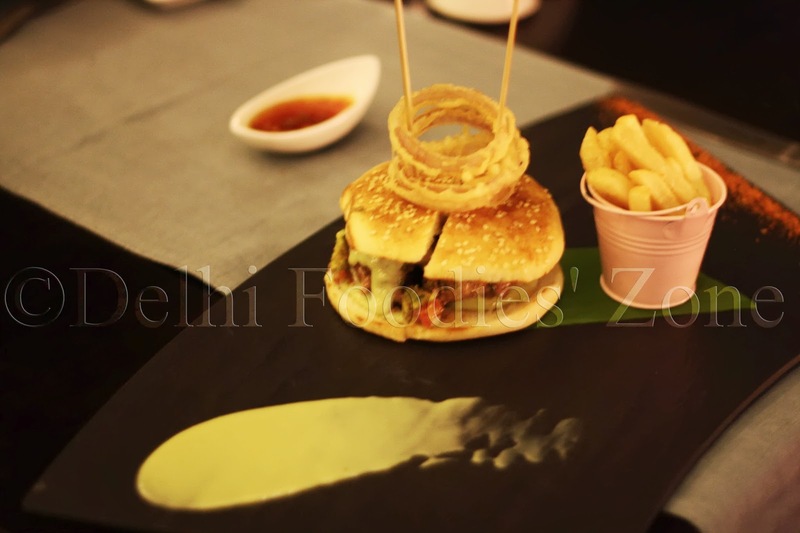 A must try for the vegetarians – the menu says. And why not! Here’s how Skeeter thought the jackfruit curry was assembled: Young handpicked jackfruit cut into cubes and boiled with spices to infuse a flavour that would remind any non-vegetarian eating it, of, mutton. The jackfruit is then simmered in a yellow curry and served with rice noodles. An immensely gratifying dish. Skeeter has a thing for Udon noodles. The texture is somehow very, very soothing to the palate. 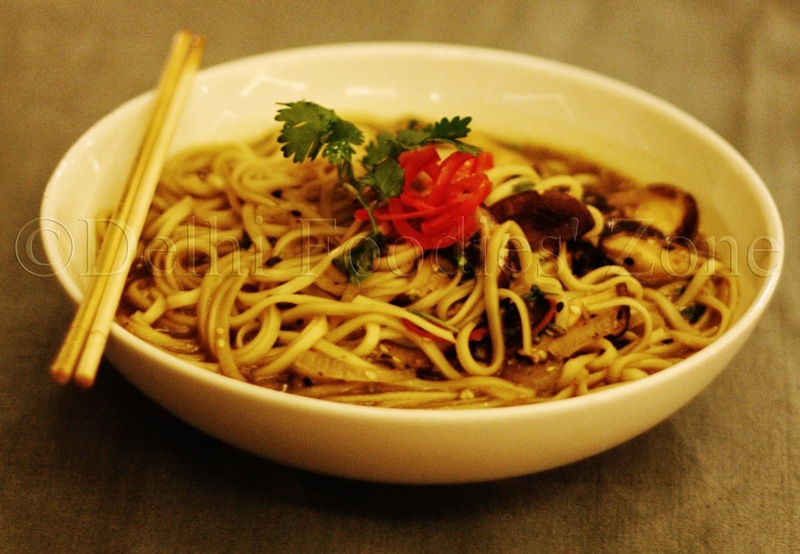 The noodles are wholewheat and when clubbed with the right kind of soup/broth they make for a superb, filling comfort dish. They are mostly served as a part of a soupy dish. Diva’s take was a very, very fine version of this rather simple dish. A light broth, with robust shiitake stock and undertones of garlic, spiced to perfection with udon noodles and shiitakes thrown in. The portion was HUGE. A meal in itself (think soup and noodles). Come winter and this dish can be decorated with florets of broccoli for more texture and some colour. One bite of Roti Bawang will immediately make you think of home, of ghee, of crispy paranthas. 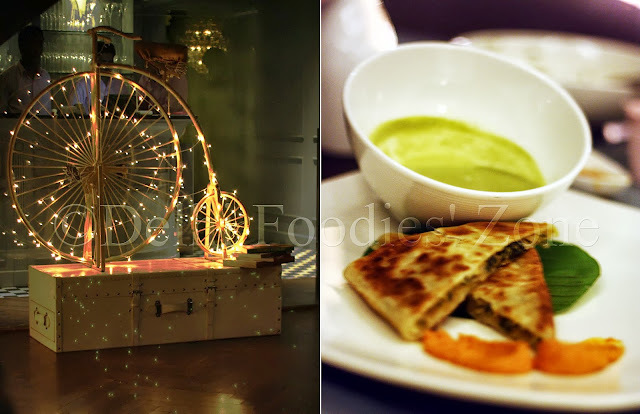 It is a cross between a parantha and a Kerala porotta. Super crisp, thick, onion filled delight this. Though, this is a Malay flatbread sold at Mamak stalls in that country, it certainly has strong Indian influence. The spicy sambal on the side is Diva’s take on sambal sans the fish sauce. It is tangy n hot and goes so well with the Roti Bawang. The green curry on the side is coconut based and explodes the flavours of kaffir lime leaves, green chillies, lemongrass, galangal and perhaps some coriander root in your mouth… It is rather invigorating. That said, even if you have the Roti Bawang on its own minus the curry and the condiment, you will come back yearning for more. An accompanying non-vegetarian highly recommends Lamb, Potatoes and baby Onions stewed in Massaman curry, wok fried greens or mash. Also, Ritu’s version of fish n chips was spectacular. It comes plated well with a small bucket of fries and edamame beans on the side. 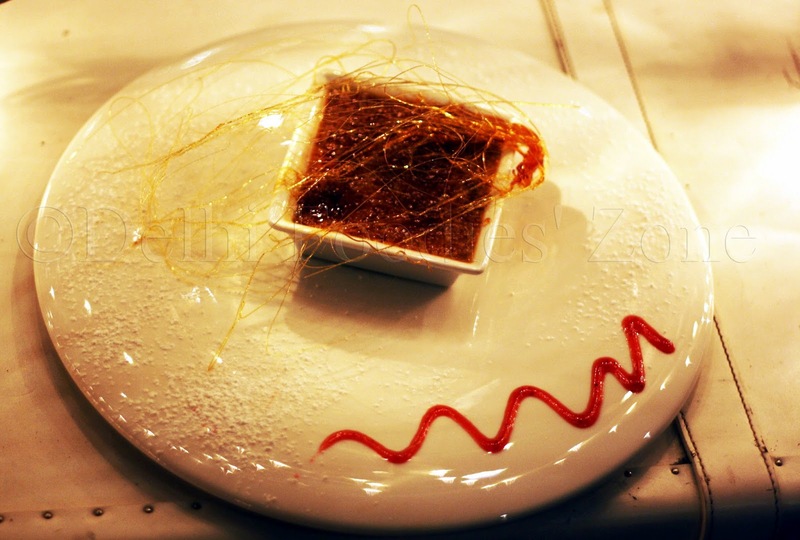 The dessert is a well-thought take on mishti doi topped with a crisp layer of jaggery toffee sheet topped with a nest of spun sugar for decor(signature Diva style). Skeeter can go on but this wonder is better tasted than read about. Ritu Dalmia is a gracious host and personally took care of what came to our table. As with all other Diva branches, she likes to know what people order and if she does not like it, she’d make suggestions (rather reinforce them). With the food you have at any Diva outlet, comes free, the education that Ritu imparts. She tells you what exactly goes into your food. Skeeter suspects it is Dalmia’s mission to tell the diner about what goes behind those delectable meals. What a deal!